Hearing aids can be life-changing, but they can’t help you if they don’t have the battery power they need to keep working. Hearing aid wearers know that when they hear that little beeping noise, they’d better have a spare pack of batteries handy. Luckily, there are several best practices you can use to keep your hearing aid batteries well-maintained and help them last as long as possible. 1. Always use your oldest package of hearing aid batteries first. Although hearing aid batteries can be stored for quite a while, the longer the batteries sit in storage, the shorter their life will be. If you always use the oldest package first, your spare batteries will never get too old. 2. Store extra hearing aid batteries in a dry, room temperature place. Extreme temperatures—both hot and cold—and high humidity levels are not good for the life of your hearing aid batteries. For this reason, never store your hearing aid batteries in the refrigerator or bathroom. 3. Don’t remove the plastic tab from each pack’s battery until you’re ready to use it. This plastic tab keeps the battery fresh while it’s in storage, and as soon as you take it off, the battery is activated. It will start to lose its “juice” from that moment. 4. Wash your hands before replacing your hearing aid battery. Grease and dirt on your hands can be transferred to the battery, which is bad for the lifespan of the battery as well as your hearing aid itself. 5. Let the battery sit out for five full minutes after you remove the plastic tab. When you take the plastic tab off, the zinc in the battery mixes with the air to power it up. There are a lot of recommendations out there as to how long you should wait after removing the tab and before inserting the battery, but recent research has shown that if you wait five whole minutes, you can extend the battery’s life by as much as 2-3 days. 6. Leave the battery compartment open when you’re not using your hearing aids. Whenever you’re not using your hearing aid, turn it off, put it somewhere safe and dry (don’t leave it on the bathroom counter while you shower! ), and leave the battery door open. This allows excess moisture to escape and reduces the drain on the battery. It also keeps the battery from corroding, which is not good for your hearing aid. 7. Use a hearing aid dehumidifier. Dry storage kits and hearing aid dehumidifiers like these will protect both your hearing aid and its batteries. They also provide a safe place to store your devices when you’ve taken them off. 8. Remove the batteries entirely if you won’t be using the device for an extended period of time. This also helps to avoid corrosion and damage from trapped moisture. 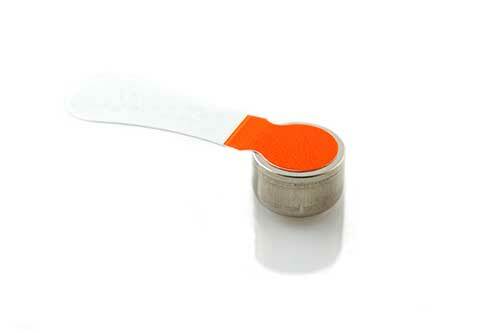 You can conveniently purchase replacement hearing aid batteries online through the Sarabec online store. This article originally appeared on EarQ.